Seaford is well known for its attractive and unspoiled seafront and parks; so many visitors come to enjoy the town and especially the beach during sunny weather. 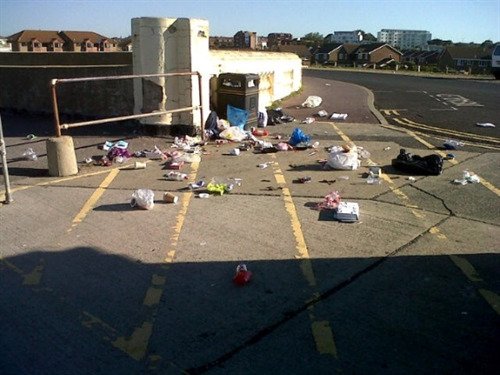 Unfortunately with such an increase in visitors on the finer days Seaford experiences a variety of unpleasant litter and other waste problems. Seaford Town Council would like to encourage all visitors to help them ensure the seafront remains an enjoyable space for everyone. 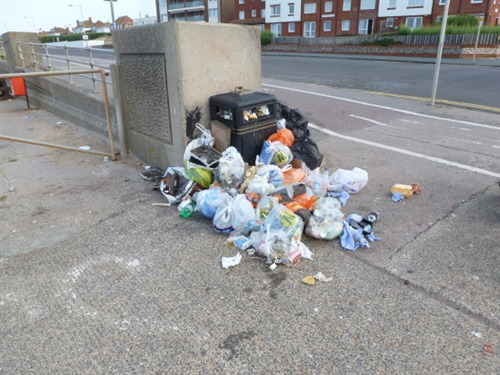 Regular litter problems are seen when visitors either overfill a bin or leave there waste next to a bin that is already full; many will bag their waste to make collection easier, however often the litter is attacked by seagulls before it is removed resulting in the litter being blown all over the beach and promenade. 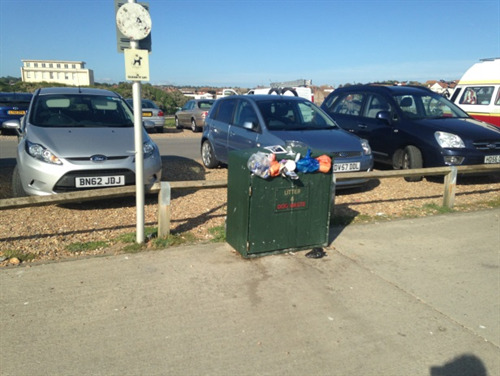 Seaford Town Council is encouraging all visitors to take care of the seafront, if you have any litter with you and find that a bin is full, please either find another bin with space, or ideally take your litter home with you. The Town Council is working with Lewes District Council to improve waste collection services, however this comes at a cost. New large capacity bins were installed in 2014 however similar problems are still being experienced on busy days. Seaford Town Council would also ask that visitors refrain from feeding wildlife as this encourages them to return regularly and scavenge for food. The disposal of Barbecues should also be done with care; again it is recommended that any litter is taken home but if disposing of used Barbecues be sure to fully extinguish with plenty of water before placing near any other waste. 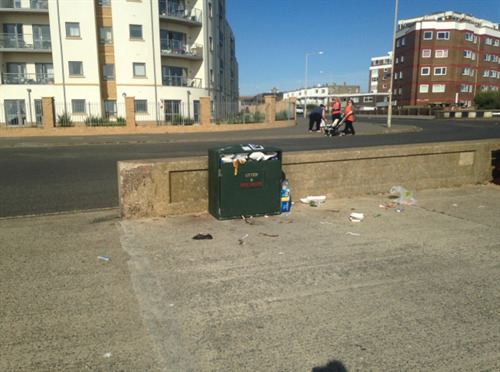 There have been numerous bin fires due to still hot barbecues being placed in the bins. .
For Dog Walkers visiting the seafront; please also take care to observe the dog ban areas in effect along the seafront. There are signs along the promenade displaying the designated areas either for ‘Dogs on Leads’ or ‘No Dogs allowed’. Dog owners are also reminded to please pick up after your pets; this allows all other users to enjoy the wonderful unspoiled beach. For information on the seafront and dog ban by-laws please visit the Seaford Town Council website www.seafordtowncouncil.gov.uk or contact the Council if you have any questions either by email admin@seafordtowncouncil.gov.uk or call the office on 01323 894870.